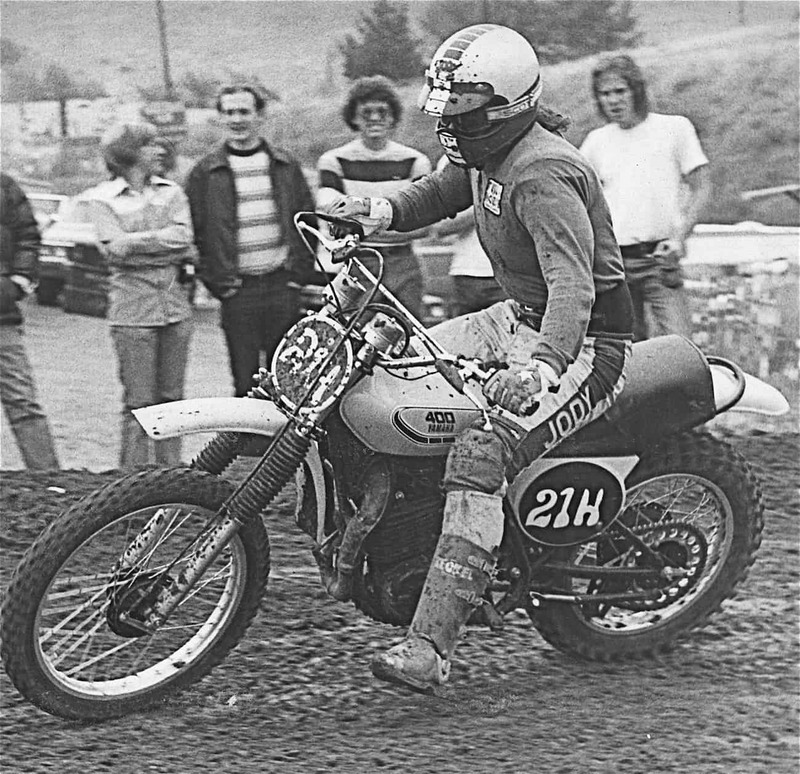 Speedo and tach forks on a 1976 Yamaha YZ400 at Saddleback—with some youngster in the saddle. 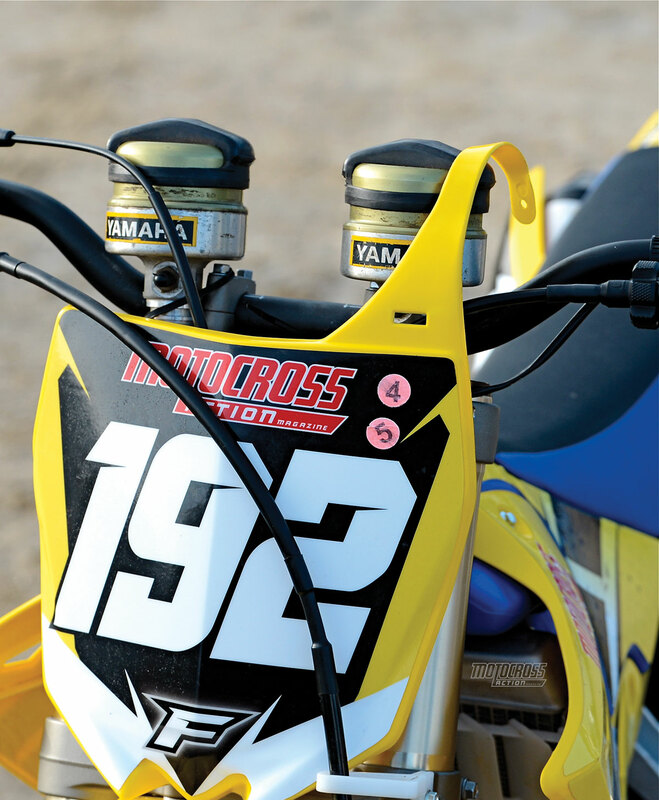 Air forks are nothing new in motocross, as the 1976 Yamaha’s 35mm Kayaba air forks prove. 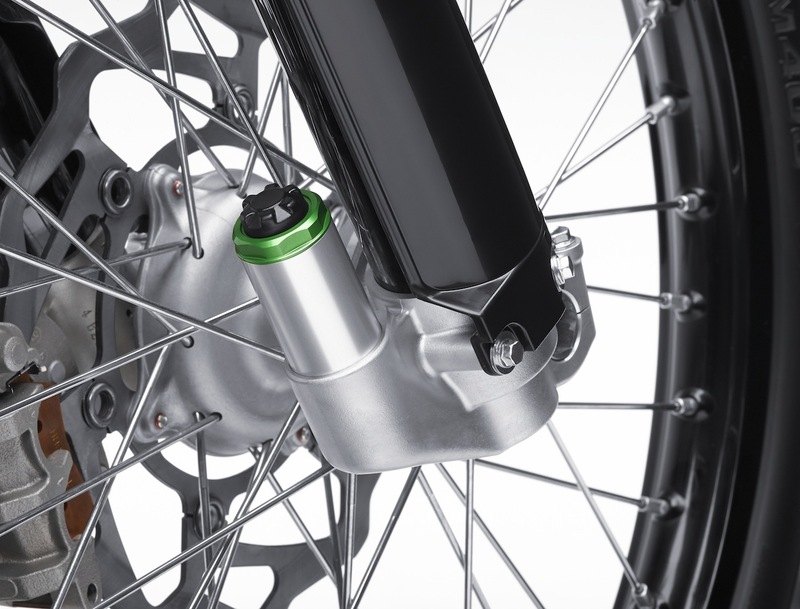 The most visually unique aspect of the 41-year-old air forks was the air accumulators that replaced the fork caps. The two air canisters resembled the instrument cluster of a street bike, leading to the Kayaba air forks being called “speedo & tach” forks. The design of the accumulators was incredibly inventive. The canisters were empty, save for a floating piston and two Schrader valves on each canister (one below a floating piston and one above it). The piston separated the canisters into two separate air-pressure chambers, which allowed the air pressure to have a dual rate. 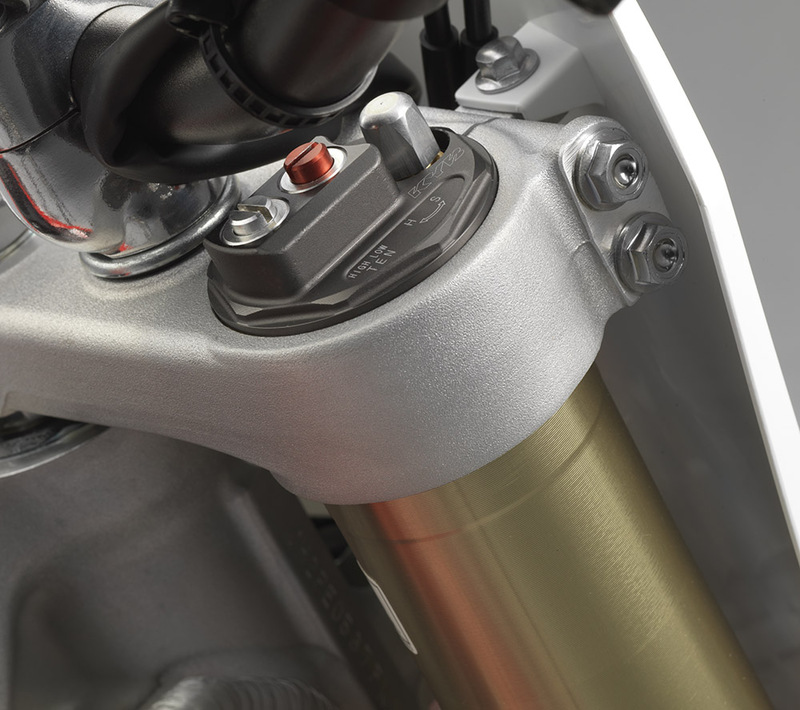 The trick was to put just enough air pressure in the lower air valve to hold the forks at the proper ride height (they would stiffen as the air was compressed by upward movement). 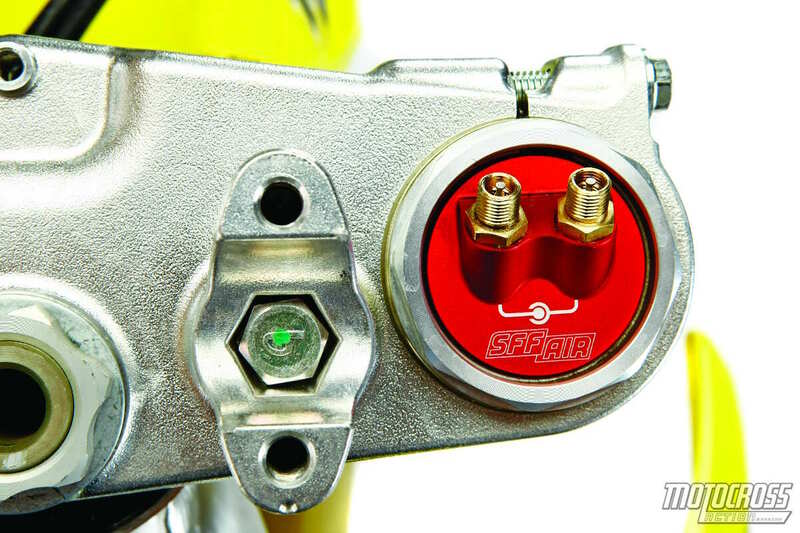 The upper Schrader valve fed the high-pressure side (above the floating piston), and, as the fork moved through its stroke, the air pressure in the lower chamber pushed the floating piston upwards against the higher pressure inside the canister. 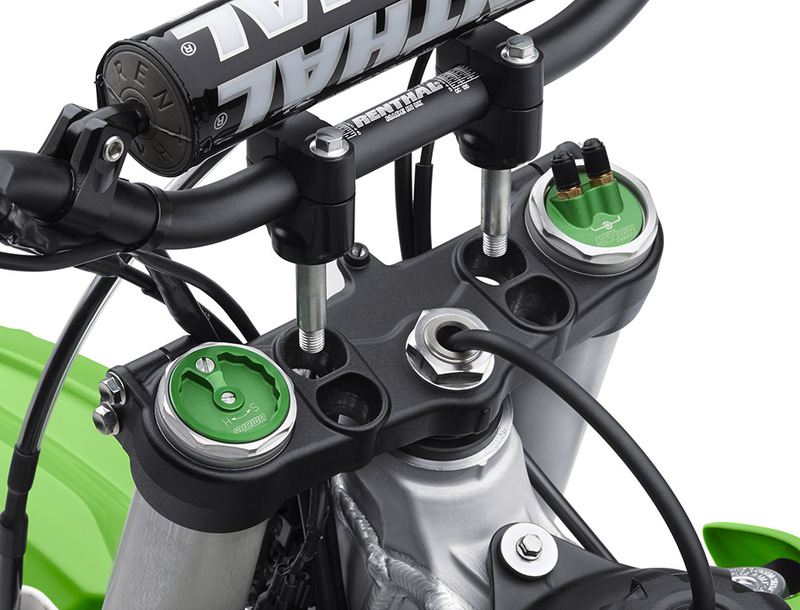 The goal was to have plush forks for small to mid-sized bumps via the lower air pressure and a more linear and stiffer air pressure as the floating piston was pushed upwards. 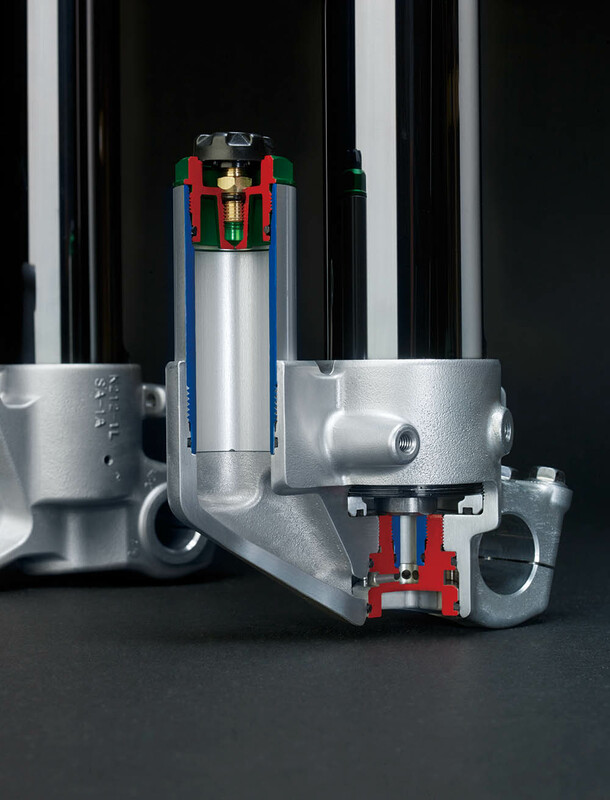 Back in 1976, MXA ran 27 psi in the low-pressure side and 50 psi in the high-pressure side. Why haven’t they revolted against the KTM and Husky air forks? 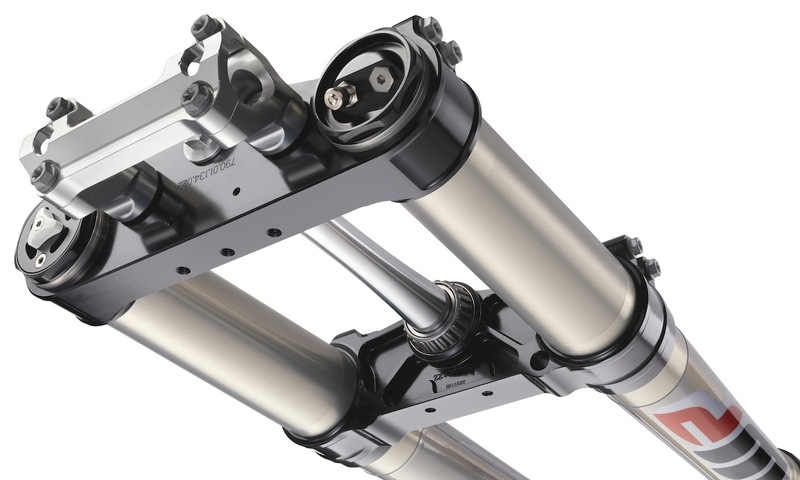 Because the WP forks only have a single air valve. Basically, WP just replaced the coil springs with air pressure. They didn’t ask the air to do anything else, because the much-needed balance chamber was self-adjusting. It turns out that when it comes to Schrader valves, three is way too many, two is still too many but one is just right. Goldilocks would approve.